The asanas can be grouped into families: standing poses, seated poses, abdominals, forward & backward bends, inversions, restorative poses. And, finer tuning might include: lateral forward bends, standing forward bends, passive backbends, prepatory poses, and so on. It’s certainly handy to have a coat hanger to help organise the huge miscellany of yoga postures. 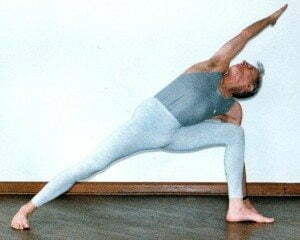 The style of yoga called Iyengar, is often taught in a monthly schedule where week one emphases standing poses, week two, forward bends, week three backbends, week four inversions/pranayama/restorative. Standing poses are a stand-out group among the clans of asanas because of their all-round utility. Here’s some reasons why yoga teachers are so fond of them: 1. Standing poses are great warm-ups for hips, spine, legs, arms, without the practitioners being unduly stressed. They are memorable and can be replicated in home practice, even by beginners. 2. When students are in the poses, the yoga teacher can convey other information than the physical adjustments to be made, as in instructing on how to approach the postures: breathing, non-competitiveness, effortless effort, that sort of thing. 3. This family of poses is demanding in its own way. Simple but not easy. And, standing poses can be taught at every level. They get us moving – disciplined – when we may be scatty or even lazy. 4. The standing poses give fairly immediate feedback about how you’re travelling. Is your balance shaky? Are your legs dull? Is your mind overactive? The poses also make you feel more open, free in your body straightaway, which makes you more likely to want to persevere. 5. There’s a logic to the poses: you start with feet in Tadasana, use them as your base in Trikonasana and Virabhadrasana 2, build on the that base to strengthen and extend the legs, the hips. In Virabhadrasana 1, the base is established, and then there’s the confluence of arms, rib cage, spinal column, pelvic/abdominal region. Everything comes together, and when attention wanes, then you can go through building the pose logically again. 6. The standing poses allow for creation of symmetry between the two sides of the body, between upper and lower, inner organs and outer organs. This happens by cultivating somatic intelligence and the process can be as illuminating as the practice of dharana – yogic concentration. I find when I really get into a standing pose practice that I can feel more peaceful as a result. 7. Finally, the standing poses can relieve tiredness even when that outcome seems counterintuitive. I’ve seen teen-age girls who were low on energy and mentally distracted benefit by doing just 15 minutes of standing poses in the high school classes I used to teach. BTW, our YogaAnywhere cards offer a 10 week Basics Course in which standing poses feature strongly. Please have a look. 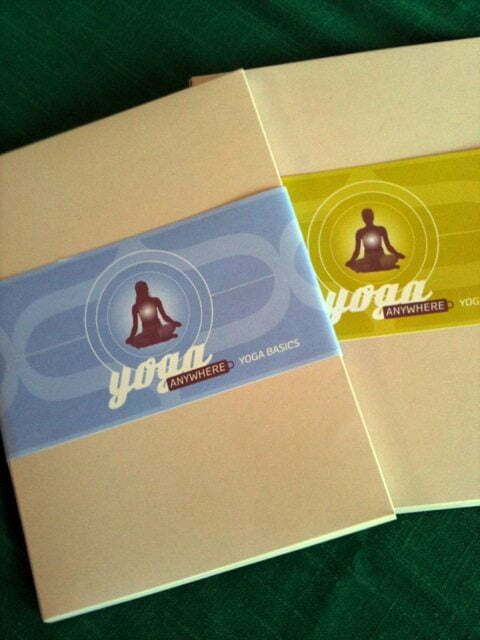 We love your yogaanywhere cards. So handy, especially when travelling. What a great idea! Thanks.